The bird was found by a member of the public on a track leading off Ledgemore Lane, Great Gaddesden, Hemel Hempstead on Wednesday, September 6. The bird was taken to be examined by a veterinary surgeon. The Buzzard Hawk had been seriously injured when from the shots fired at it. But it was sadly concluded that due to the severity of its injuries, the Bird of Prey had to be put to sleep. Officers from Hertfordshire Constabulary’s Rural Operational Support Team (ROST) are appealing for any witnesses and information that could help find the culprit responsible for shooting the bird. PC Simon Tibbett, from ROST, informs: “All British wild birds, their nests and their eggs are protected under The Wildlife and Countryside Act 1981. 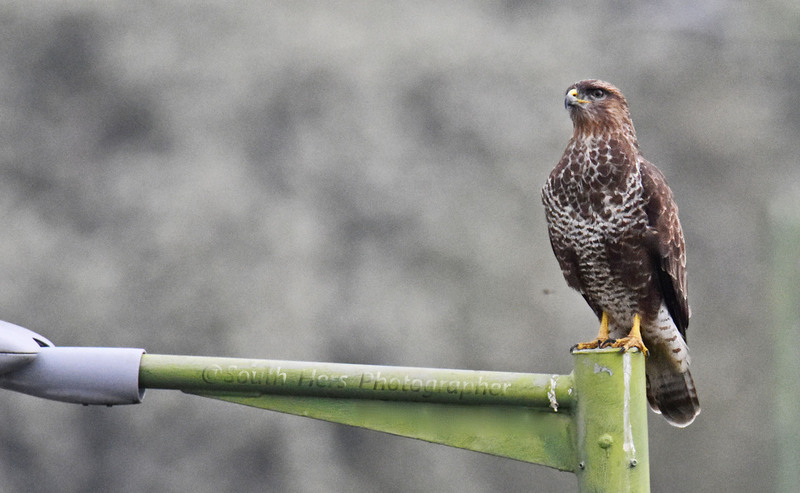 “This means it is an offence to shoot Buzzards or interfere with their nests in any way and is punishable by a fine or up to six months in jail. As a bird of prey, persecution of these birds is monitored by DEFRA and the National Wildlife Crime Unit as Raptor Persecution is a National Wildlife Crime Priority. Jenny Shelton, Investigations Liaison Officer at the RSPB, said: “I think we speak for most people when we say we are angry and saddened to hear that someone has shot this bird. She added: “Our UK population of buzzards dropped during the 20th century due to the unlawful killings, and sadly persecution is still a problem even today. If you know anything about this incident, please contact police on 101 or the RSPB Investigations team on 01767 680551. Anyone who has witnessed people shooting or carrying hunting rifles in the area, or has any further information, should contact PC Simon Tibbett on Hertfordshire Constabulary’s non-emergency number 101, quoting reference D1/17/7143. Alternatively, if you have any information about this incident you can contact the independent crime-fighting charity Crimestoppers anonymously on 0800 555 111 or through their Anonymous Online Form at www.crimestoppers-uk.org / No personal details are taken, information cannot be traced or recorded and you will never need to go to court. The ROST is a team of police officers specialised in dealing with crimes concerning rural and agricultural issues, wildlife, the local environment and the county’s heritage. The ROST also deals with traveller liaison issues. They support local Safer Neighbourhood Teams and Intervention officers, and can investigate any crimes from badger baiting, hare coursing, the theft of red diesel and nighthawking, to stolen plant equipment, criminal damage and the theft of metal from historical buildings.